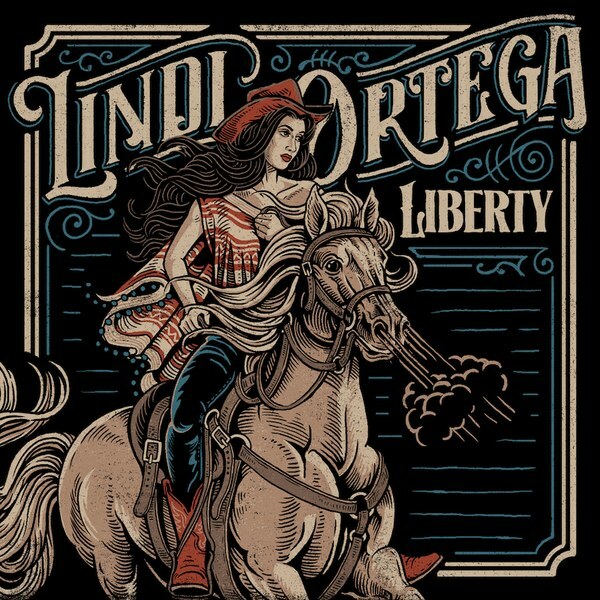 Bob Marley had his “Redemption Song,” and Lindi Ortega has her “Liberty,” which is the title of her latest album, released March 30. Finding her music was a random event via the Internet, the Lindi Ortega Facebook page to be exact. Well, maybe that’s not totally random. It’s the result of an electronic algorithm, cyber-syncronicity, based on things I already like. I took a chance on “Liberty,” and I was immediately taken by the sound. How to describe it? Well, it has a lot of acoustic guitar and vocals, but that’s a rather rudimentary nondescript description. A lot more is going on. Elements of country are present, but it’s the country music from another era, not the present. Ortega’s heart is more aligned with Willie Nelson and Patsy Cline, an earnest, organic sound. The striking cover illustration is a resemblance of Ortega upon a mighty steed, looking all that part of a travel weary desperado. The fifteen tracks on “Liberty” are perfectly paced, like chapters in book, which smoothly transitions from one to the next. Perfectly woven together are themes of love, loss and longing, torment, tragedy and triumph. Ortega’s vocals carry the overwhelming weight of these themes with a voice that is hauntingly beautiful, with a sense of vulnerability displayed. The lyrics speak of a sense of creeping doom. The impending darkness is unnamed, but in the last verse she reveals it’s internal, and the song serves as a warning to those who would desire a closeness with her, a notice that the shadow self exists, maybe within in all of us. I find myself skipping around on this album, but I also often find myself listening to “Liberty” in its entirety often. To fully get “Liberty,” one needs solitary, solemn moments of concentration, in order to take it all in. A sonic complexity is contained in this collection of songs. The most upbeat song is “Comeback Kid.” The song was released as a single and video months before “Liberty” became available. It has an almost 1950s style strut and a swaying swish, with lyrics about being knocked down and coming back. “You took my life and wrecked it.. But I’ve been resurrected. Sonically, “The Comeback Kid” is the biggest deviation on the album.